Bombast, aggro and a pumped up show on the green isn’t just an impr­omptu act impelled by adrenalin. It needs careful preparation and groo­ming. 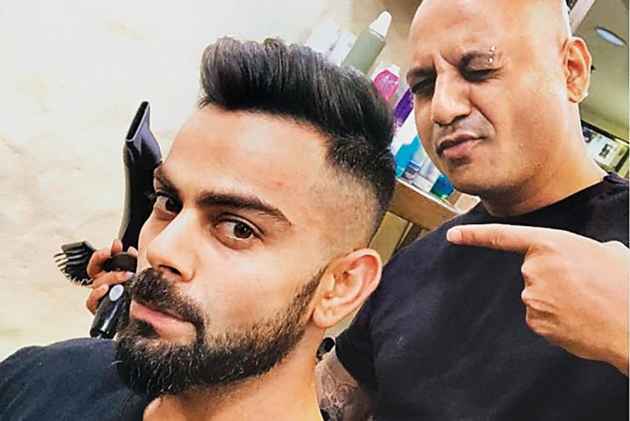 The 11th Premier League, playground of the talented mighty, is upon us, and Virat is up for it. Sides shorn off, the top buffeted up in a tight pompadour...that’s the look! They camped on the eye of destination weddings in India, Udaipur, picking up pomp and circumstance on the way. 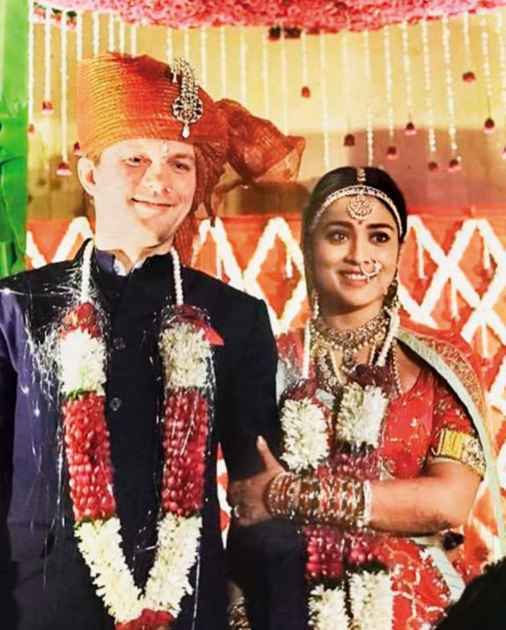 Glamour the bride, actress-diva Shriya Saran, had in plenty, and was matched in cheekiness by the groom, Russian ent­repreneur Andrei Kos­cheev. “Love is a huge word and her love makes me better,” gushed a helpless Andrei. When the Telugu film Chirutha didn’t revive her deflated movie career, Neha Sharma promptly turned to photoshoots in glossies; advance notices of which were given to fans through Instagram. Demure was out, decolletage was in and LBDs were flung around like so many hapless suitors. Striped Overalls? Go To Hell! Ah...Ek do teen—the jangling freshness of its tinny tune swung at a time when flash was to become flashier, helped along by the raw vim of an ingenue breaking out into stardom. Classics are traduced by Bolly­wood, buoyed by the vain hope that a version can ride on old magic. That’s all malarkey, shouts Saroj Khan, the original choreographer, when she saw Ek do teen from Baaghi 2, as Jacqueline writhed in lantern light. 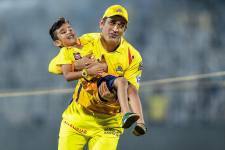 An economy rate of 5.70 in T20s is bowling gold. 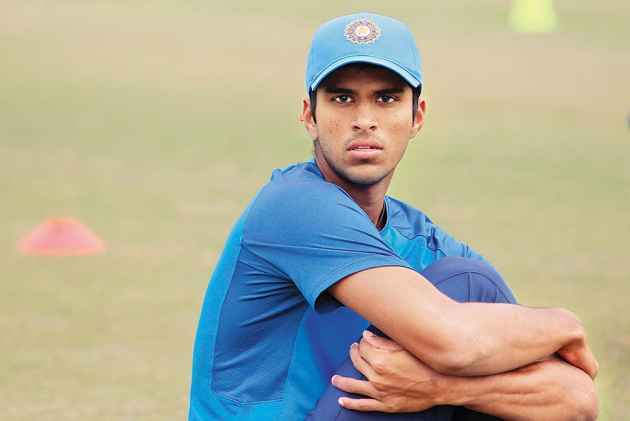 That wasn’t the only achievement of 18-year-old off-spinner Washington Sundar in the Nidahas Trophy—he forced the most number of batsmen—eight—to take the longest walk. Rattling competitors like Chahal and Axar, Man of the Series Sundar delivered a paean to finger spin. Nubian warrior queens lived in antiquity, in the lower Nile and upper Sudan, admired by Pha­raohs in the north. But when Beyonce took that as her theme at a gala, she sought help from Indian designer duo Falguni and Shane Peacock. The result was this gorgeous, gold-panelled, sheer bodice and a carefully crumpled solid train. Imagine what the box in which it’s stored would look like! Since the Cambridge Analytica debacle hit headlines on Friday, Facebook is said to have lost $50 billion and its stockmarket value fell a steep 10 per cent in four days. The data analytics firm is said to have targeted close to 50 million Facebook users during the Trump campaign.